Town Council priorities identified at a February retreat were briefly reviewed last spring. The town is on the path to accomplish some of the goals, while others will likely be delayed a bit. “It is good to have this type of report because too often in the past we write a bunch of things on the wall at a retreat and everything goes into the fog machine,” said mayor Jim Schmidt as he thanked town manager Dara MacDonald for providing the overview. 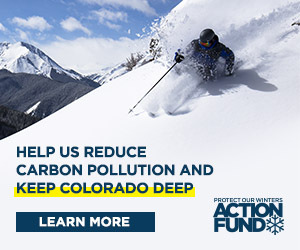 Climate Action: The town contracted with Western State Colorado University to inventory town emissions and draft an emissions reduction action plan. Affordable Housing: The council will discuss and decide on appropriate density for development of blocks 76 and 80. Councilman Will Dujardin reminded his fellow council members he will be pushing for increased density with affordable housing projects in the area. The council also wants to explore ways to get affordable housing on Elk Avenue and other commercial zones, the idea being perhaps such units could be used for long-term rentals or occupied by those who own businesses in the building. Mt. Emmons: Work is continuing with the Mount Emmons Mining Company, the state and the county to find a permanent solution to the mine as well as to participate in discussions about remediation efforts. Councilman Jackson Petito noted that molybdenum prices have recently been on the rise. Improving Governmental Relations: The Crested Butte Town Council has been on a dining tour with fellow political entities in the county. Dinner with the Mt. Crested Butte council and lunch with the Gunnison council have been held. An Elk Avenue Prime gathering included all elected officials in the valley and the idea is to hold such gatherings regularly with the next scheduled to be held in Mt. Crested Butte this fall. Camping at Avalanche Park: This could take a back seat to other work. While still on the list of future projects, it might be late summer or fall at the earliest that staff will find time to address camping at Avalanche Park. Avalanche Park is located just south of Crested Butte at the Baxter Gulch trailhead. Other priorities in the works include creating a community comprehensive plan and updating the three-mile plan with the county and Mt. Crested Butte. That plan is expected to take some significant time but a community-wide survey could start the project in 2018. Solidifying the Deli Trail easements, protecting the natural environment, posting the town’s property in Irwin so people know it is public property, diversifying employment opportunities and routinely issuing proclamations honoring community members are other priorities the staff continues pursuing.